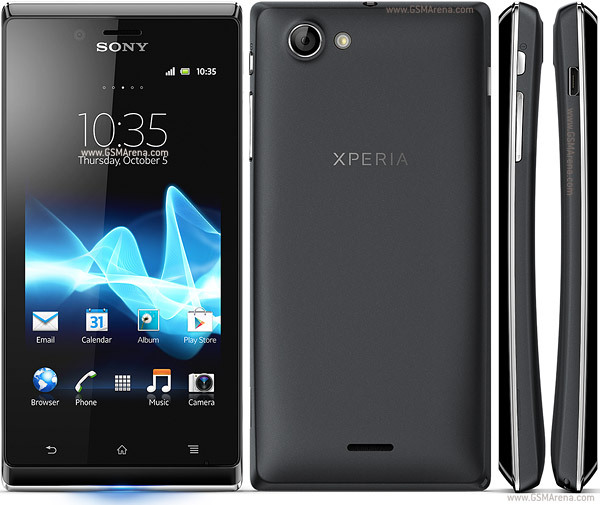 Sony Xperia J is a powerful device announced in August 2012 and available for release in October the same year. Even if it was considered one of the best choices available on the market, after a period of time, this phone can start to freeze, work slower than usual or get stuck in some applications. This is why it is important to hard reset your Sony Xperia J, so that the data can be quickly wiped out clean, whilst the phone settings can go back to the default mode. The device is very easy to master reset, but before getting started, there are a few details you should know. The Xperia J represents an amazing and powerful smartphone with 4.00-inch 480×854 scratch resistant display, a TFT capacitive touchscreen, of 16M colors, a primary 5 MP camera with 2592 х 1944 pixels, autofocus, LED flash, check quality, geo-tagging and other great features. Running on Android OS, v4.0.4 (Ice Cream Sandwich) operating system, upgradable to v4.1.2 (Jelly Bean) and powered by 1GHz Qualcomm MSM7227A Snapdragon processor alongside 512MB RAM, this device is outstanding in terms of great features, design and affordability. Nevertheless, it should be mentioned that, like any other modern phone, this addition to the Xperia series, can bring a lot of dissatisfactions to the user should it stop working at an optimal level or catch software errors and infections. You do not have to worry at all, due to the fact that you can bring your phone to its initial glory by appealing to the ingenious process called a factory reset. There will be no need to run to a GSM service or to wait long hours to bring back your device to its default settings, as you can perform this method in mere minutes, right from the comfort of your own home. Go to the Settings menu and click on ‘Backup and reset’. Tap on ‘Factory data reset’, then ‘Reset phone’ and click ‘Erase everything’. Confirm and wait for the device to reboot. Press and hold together the Power key and the Volume Up button until you see the menu of your screen. Follow the menu on the LCD screen to continue the software refresh process. Head to the Sony website. Download and install the Flash tool software on your personal computer. Power off the device and make sure it has enough battery. Boot the device to flashmode by using the Volume down button and connect to the USB cable. Follow the instructions on the menu.